Adding color and glamour to life, one nail at a time. Why Won’t Hangnails Let Me Be Great?! They’re ugly, they’re nasty, and they’re foul. I’ve got a hangnail on my thumb, and it’s not pretty. It’s sore and annoying, and I want it to magically disappear just as magically as it appeared. This unsightly looking piece of dried skin jutting from my thumbnail is just horrific. It’s not like this is the first hangnail that I’ve had, it’s just the first one that I’ve had in a long time. 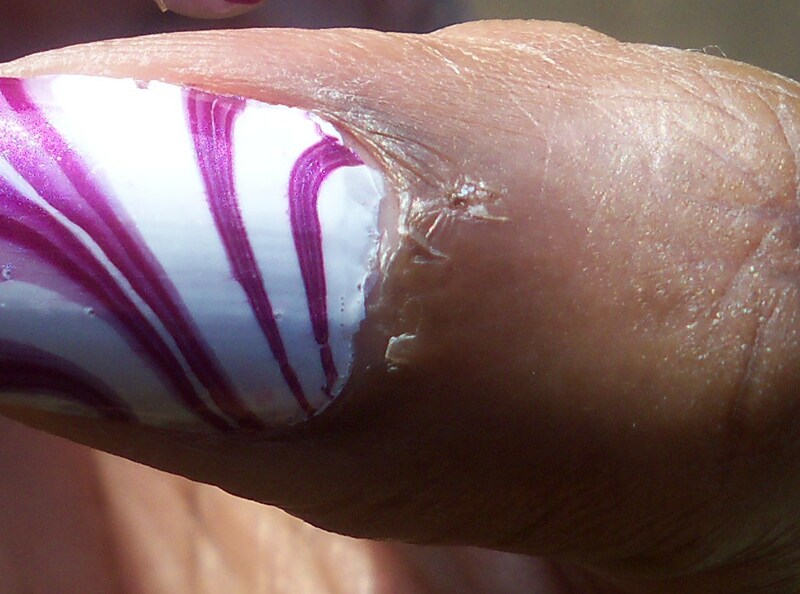 It’s ruining my nail look! Why is it here?! Why won’t it go away?! Why won’t it let me be great?! Out of frustration and agony, I started searching online to learn more about this cumbersome thing. You gotta learn to crawl before you learn to walk, and I had to figure out exactly why they show up before I could get to the point of figuring out how to get rid of such things in a timely manner. Timely manner meaning right now. I do wash dishes by hand at least three times a day, and I do wash my hands a lot. Over the past week I have constantly used nail polish remover at least 50 times practicing over and over again water marbling, so I believe that may have contributed to my problem. I’ve learned my lesson and I will make a habit of keeping the area around my nails moisturized throughout the day. I’m gonna be oiling and lotioning my hands up like crazy, cause hangnails are not the business. How do you deal with your hangnails?